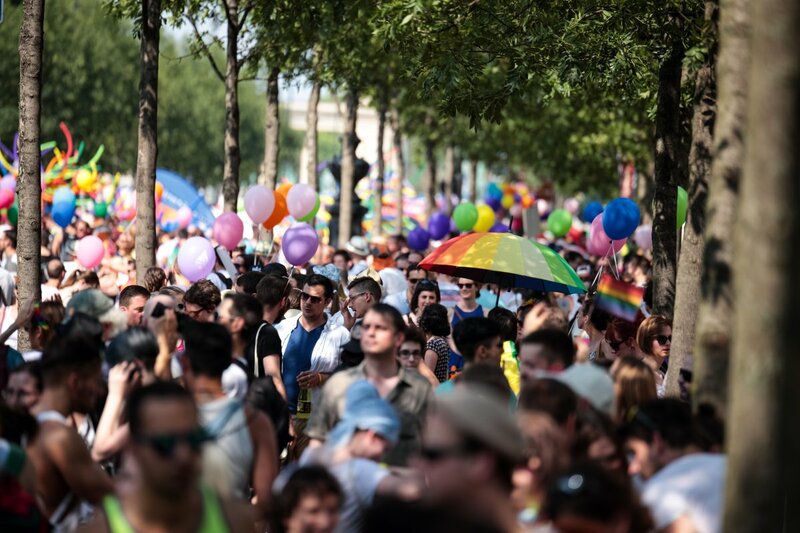 You’ll be in Budapest during the Budapest Pride Festival and don’t know what to do? You live here but you don't speak Hungarian? Want to make sure you don’t pick a program which is only in Hungarian? Then you’re at the right place. Here are some programs you should definitely check out. 30th June Friday 22:00 Tesla Club: Opening Party: dance through the night at the marvellous opening party of the Pride Festival for the tunes of llll, Infragandhi, and the live performance of the Italian popstar, Alex Palmieri. Entrace fee: 1500/2000 HUF. Get your tickets here. 2nd July Sunday 10:30 Margaret Island: Run for Rights: run for equality, health consciousness, and a more accepting and attentive society. Distance: 5km. register here. 3rd and 4th July Monday and Tuesday: International Rainbow Culture Conference: get to know local and international LGBTQ movements, history, and culture. No admission fee. 4th July Tuesday Auróra: Introduction to feminism and LGBTQ: English workshop about the basics, history, and role of everyday feminism and LGBTQ. No admission fee. 4th July Tuesday 19:30 Átrium Filmszínház: PanoDráma: Miracles happen because of us. In memoriam Milán Rózsa. Theatre play with English subs in memorian a Hungarian LGBTQ activist.. Tickets: 2500/2900 HUF Get your tickets here. 8th July Saturday 15:00 Kossuth Square: Budapest Pride March. No words needed. Bring your loved ones, banners and flags, lots of water, a hat and sunscreen, and join us on the march for freedom! 8th July Saturday 22:00 Dürer Kert: Rainbow Party a.k.a. official Pride Closing Party! 5 rooms, 5 styles with the most vivid figures of the LGBTQ nightlife! Live act by Random Order from Toronto, DJ sets by VIBE, llll, Mettyu & Kali, !szkafander, and Küss Mich presents us Sirius & Darktunes from Vienna, Mesterházy, Splatter & Gördön. Tickets: 2000/2500 HUF. Get your tickets here. 9th July Sunday 14:00 Margaret Island: Labrisz Picnic. Get together with the community on the traditional picnic on the last day of the festival. If you don't wanna join any programs, just chill with some dope people and enjoy yourself, go to Auróra, the official meeting place of the Pride Festival. Festive decoration, rainbow-themed meals and drinks all week!